2019 Gaiety Hollow Open Gardens - NEW Schedule! NEW! Docent-led Garden Tours will take place during Open Garden Sundays at 2pm. Children are free; admission is $5 for persons over age 16. If you are interested in bringing a group to see the gardens at Gaiety Hollow or Deepwood, please contact lordschryverconservancy@gmail.com. The gardens and grounds of Gaiety Hollow are a fragile historic property. Efforts to restore and maintain the property for current and future generations are ongoing. The Lord & Schryver Conservancy expects each visitor to follow these basic guidelines. • Access property via established pathways and the lawn areas only. • Do not block or obstruct entrances, exits or the back alley. • NO stepping into the flowerbeds or mulched areas. • Photography is allowed Please refer to Photography guidelines..
• Serving/consumption of alcohol is restricted. Please refer to Rental Guidelines. Click here for further details on our visitor policies. 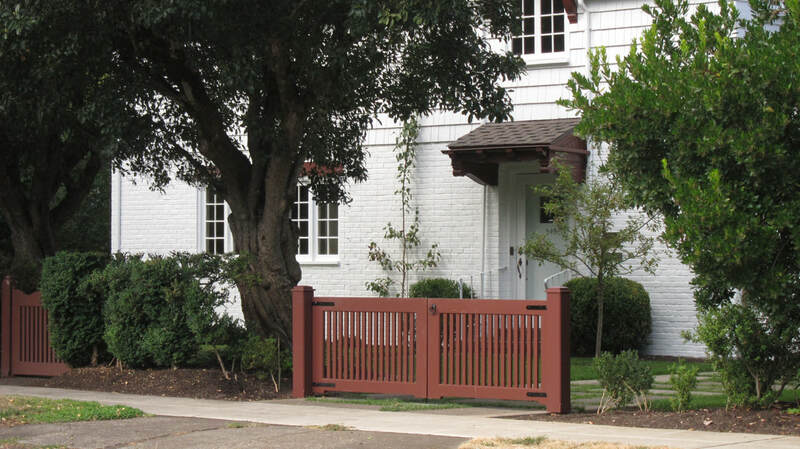 Free parking is available on nearby streets or at Bush's Pasture Park (600 Mission St. SE). There is no public parking at Gaiety Hollow 545 Mission St. The gardens at Gaiety Hollow and at Deepwood have been maintained in their historic form and may be difficult for those with mobility issues. Wheelchairs not recommended. Brick paths are narrow. There are two steps up to access the Gaiety Hollow house. The Deepwood landscape has steep slopes. Please call us for information on how to get the most out of your visit.